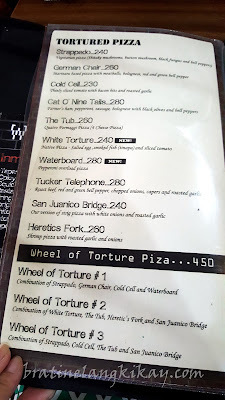 I saw a post raving about the best crispy pata (deep fried pork hocks) in Metro Manila and being the usisera that I am, I just had to see and taste for myself. 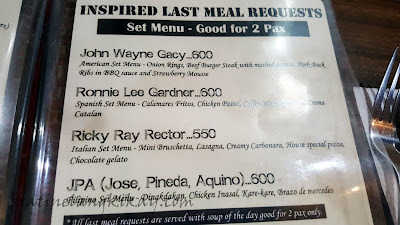 Crispy Pata Php650. Good for 4. 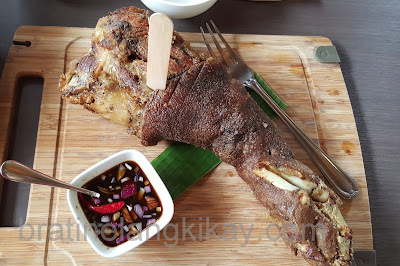 The most talked-about Crispy Pata is the best seller of Livestock Restaurant and Bar and is apparently so tender that it is served with a popsicle stick instead of a knife. Apart from being so tender, the pork hock is fried to perfection. 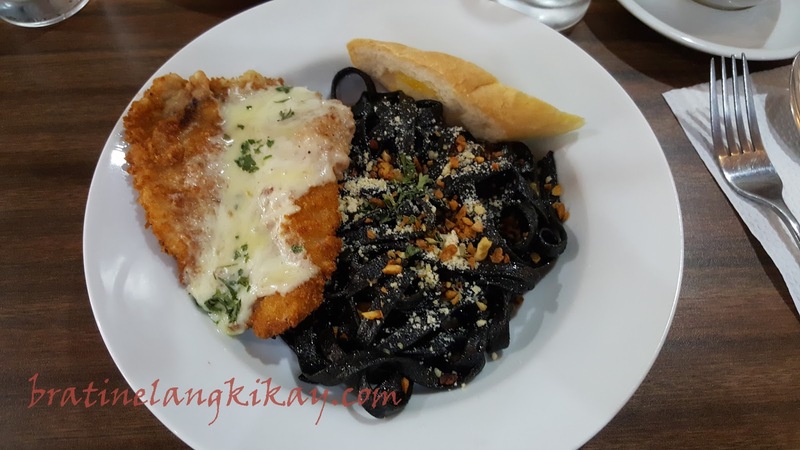 It's not oily, with crispy skin but oh so tender-fall-off-the-bone meat. 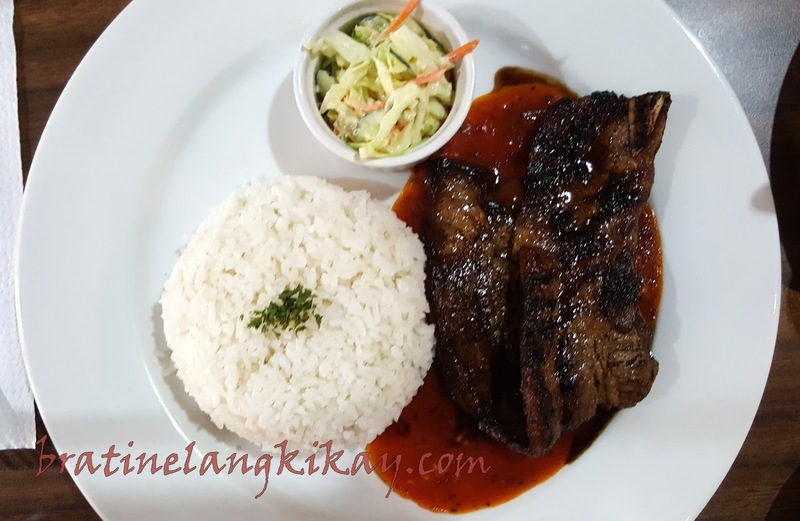 It is served with vinegar laced with soy sauce, onions and red chili. Livestock Restaurant opens at 11am, and I would really (really) recommend for your to come early. The place gets filled very quickly and by noon, you probably would have to wait to be seated. 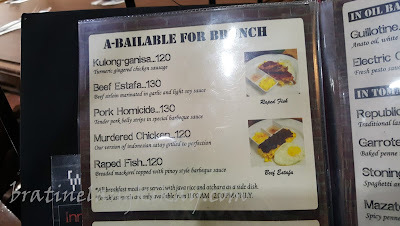 Everyone I know dread the thought of going to jail and that's not a surprise at all especially if the penitentiary is in the Philippines. In fact, for me, just the idea of going to a courtroom gives me the jitters, what more if to a jail where thugs and criminals will be your legitimate housemates. 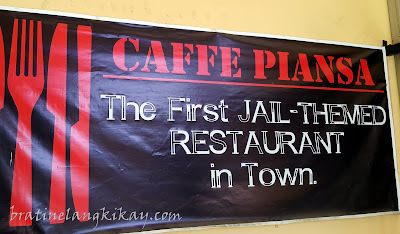 However, upon learning that there is a now a jail-themed restaurant in Metro Manila, I can't help but get excited. 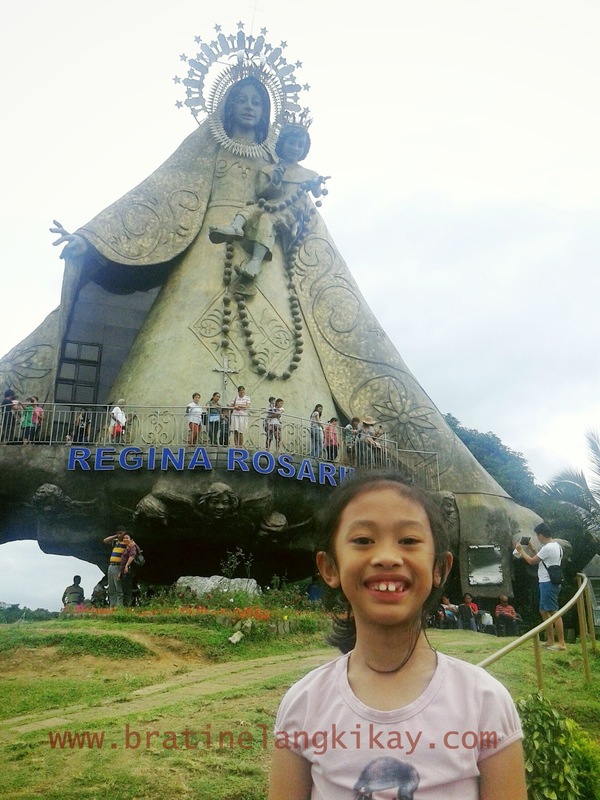 Although it could easily be just a fad, I was like a tourist eager to try something unfamiliar. So this is Caffe' Piansa, the jail-themed restaurant located in Marikina. 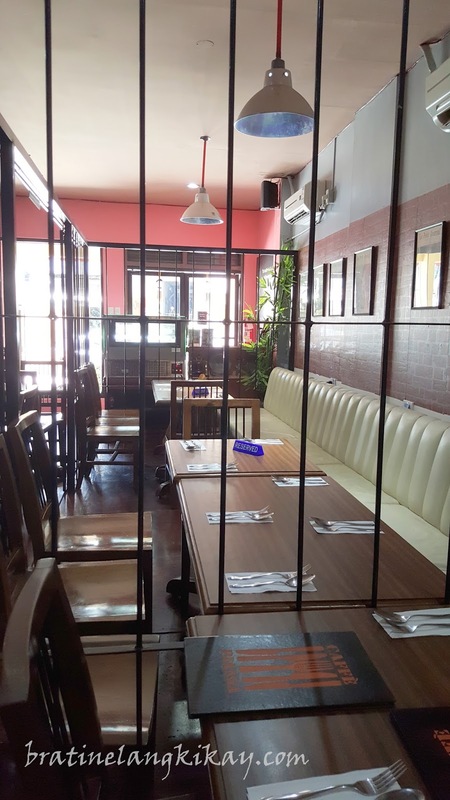 The owners seriously took the jail concept and designed the restaurant with everything related to prison. Even their crew wears an inmate uniform while the bartender is in a judge's robe. 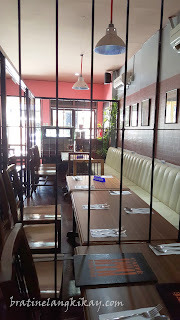 Diners can enjoy their meal behind iron bars in a regular detention cell, in the Execution Room beside a fake electric chair or in a court jail room (private dining as there is only one table). 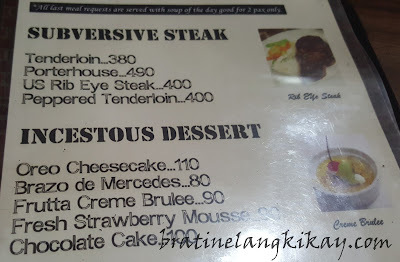 How about ordering (and eating) in the court without the judge holding you in contempt? Order in the court, literally! 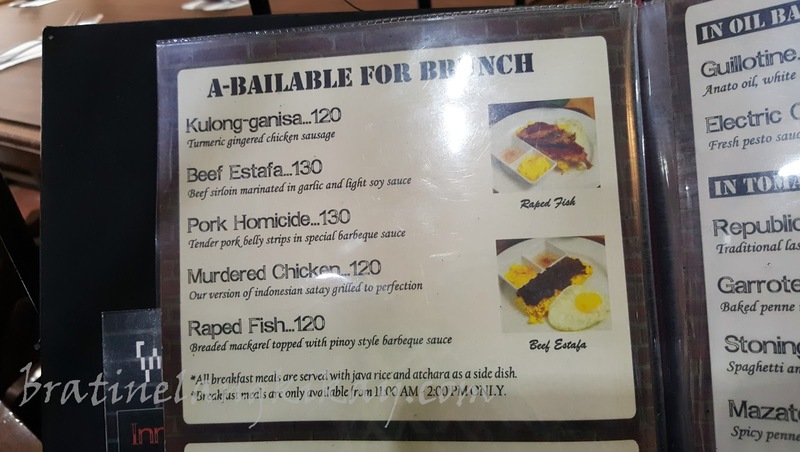 So how's the food? Well, for The Hubby who is more particular with what he eats than what he sees (my opposite) the food is just average. Nothing spectacular or worth raving and I have to agree with him. 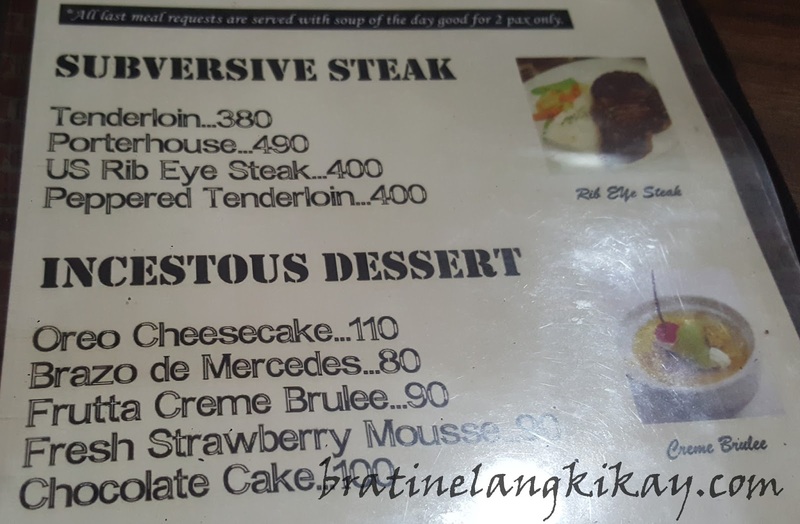 The serving, too, is quite small for the price on the menu. I was surprised (didn't take a photo) when our salad was served as it was just good for one when the price is the same as the salad for sharing in most restos. 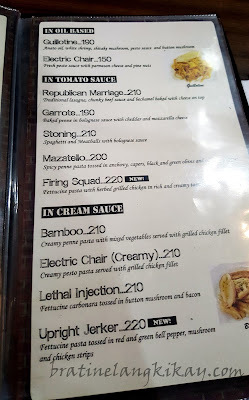 The food in the pasta menu are named after execution methods from centuries ago up to present. If you don't know how the executions are carried out, then ordering can be pretty fun. 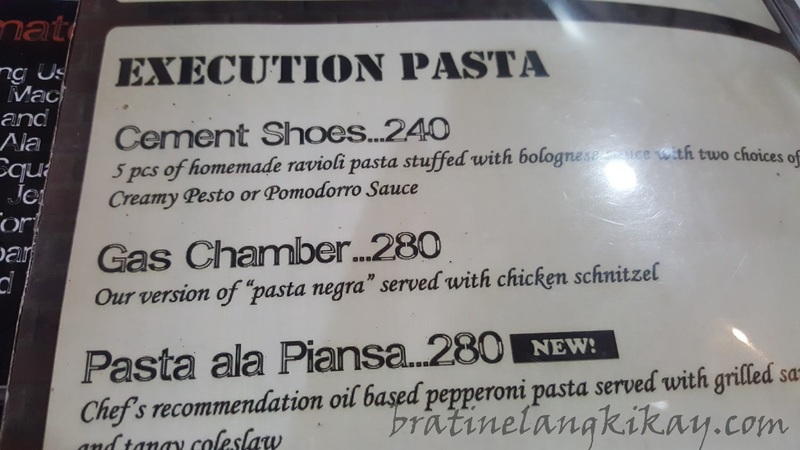 Like me, I ordered their house specialty which is Gas Chamber. 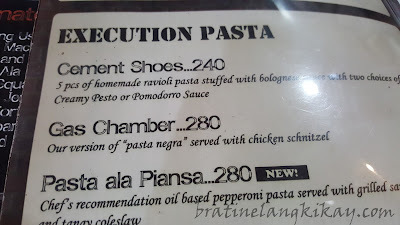 But the wall decors have detailed descriptions of the executions and I actually felt nauseous reading them. Quite creepy and gory, to be honest. Before leaving the restaurant, don't forget to take a mugshot a souvenir. It's the fun part of the visit. 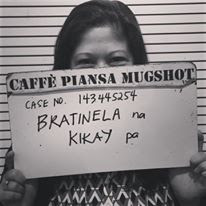 Overall, I'd still recommend a visit to Caffe Piansa if one's curiosity need to be satisfied. Their location is quite hard to find it you don't have Waze app. Be prepared for street parking.